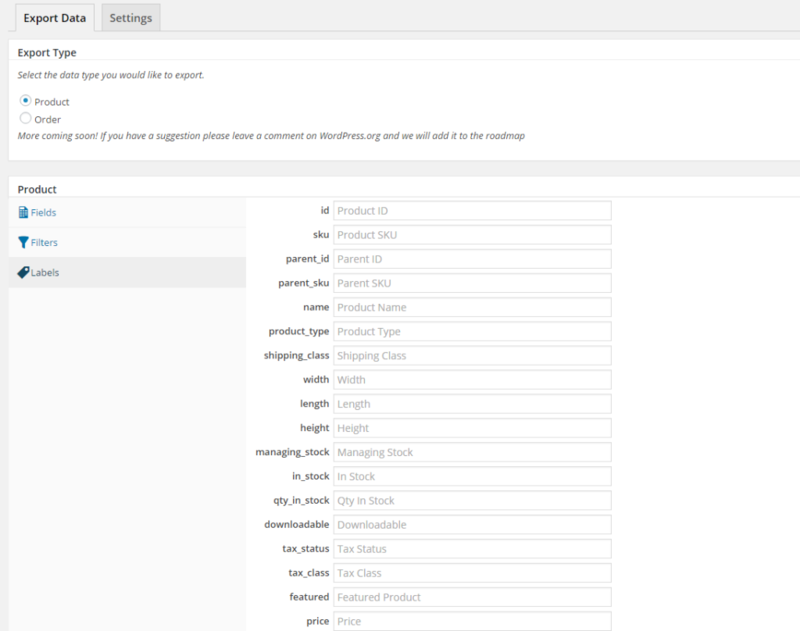 This super-easy to use free plugin allows you to export your orders and product data from WooCommerce. 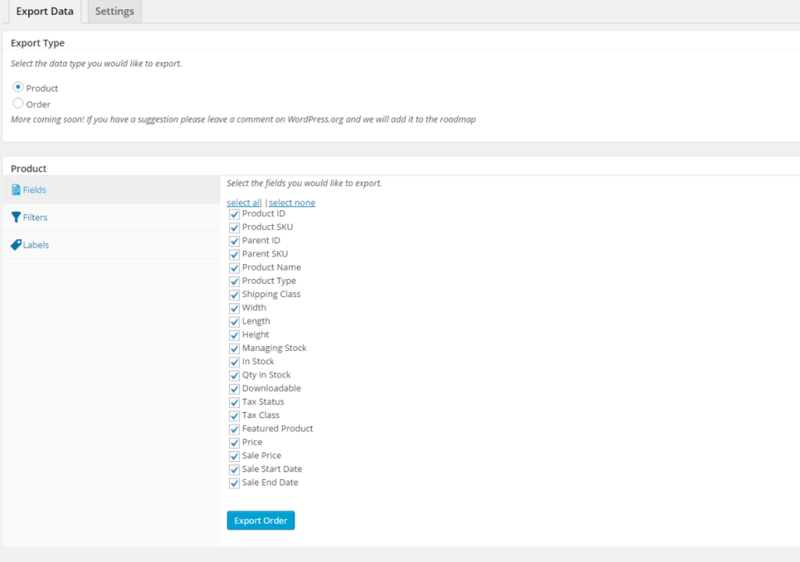 If you find the features in this plugin are not enough for you – we have a PRO version of the plugin – you can see all the details here WooCommerce Order Export Pro plugin. 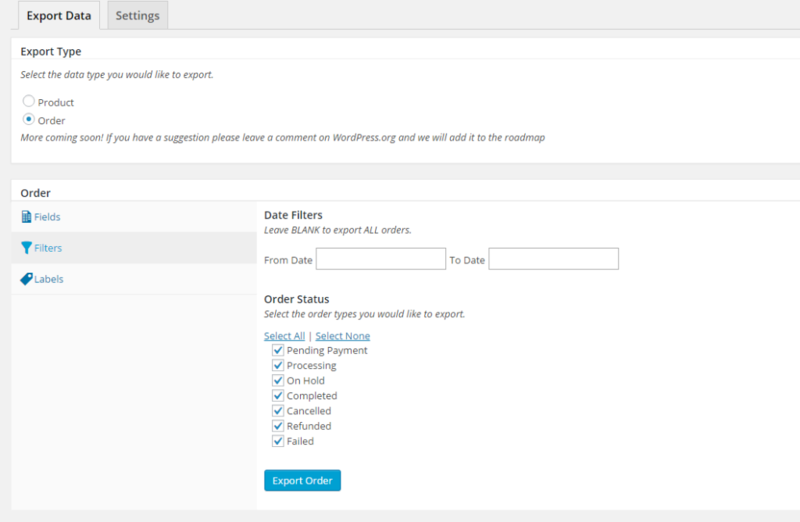 Installation is simple using your WordPress built-in plug system. 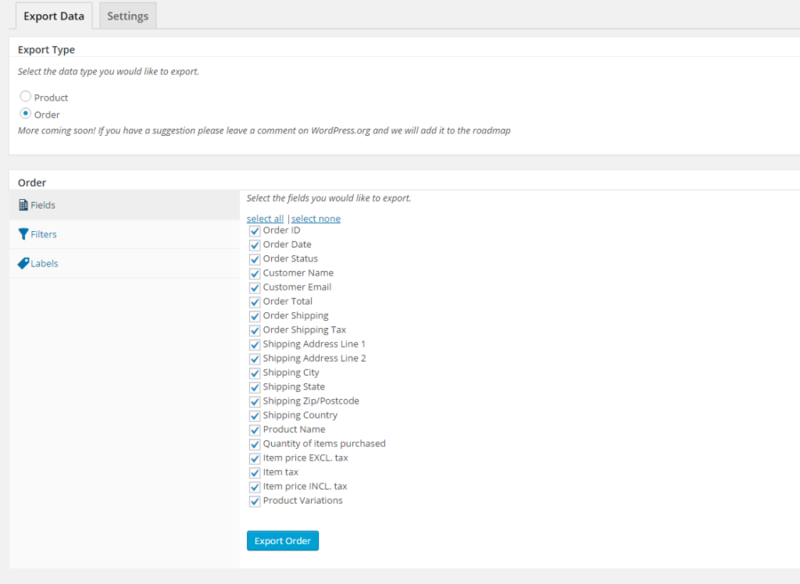 If you still have questions visit our support page here and drop me a line – I’ll get back to you ASAP!